The American Legislative Exchange Council (ALEC) – known by its critics as a “corporate bill mill” – has hit the ground running in 2013, pushing “models bills” mandating the teaching of climate change denial in public school systems. January hasn’t even ended, yet ALEC has already planted its “Environmental Literacy Improvement Act” – which mandates a “balanced” teaching of climate science in K-12 classrooms – in the state legislatures of Oklahoma, Colorado, and Arizona so far this year. In the past five years since 2008, among the hottest years in U.S. history, ALEC has introduced its “Environmental Literacy Improvement Act” in 11 states, or over one-fifth of the statehouses nationwide. The bill has passed in four states, an undeniable form of “big government” this “free market” organization decries in its own literature. ALEC’s “model bills” are written by and for corporate lobbyists alongside conservative legislators at its annual meetings. ALEC raises much of its corporate funding from the fossil fuel industry, which in turn utilizes ALEC as a key – though far from the only – vehicle to ram through its legislative agenda through in the states. A DeSmogBlog investigation last year found that the Environmental Literacy Improvement Act’s orgins date back to 2000. 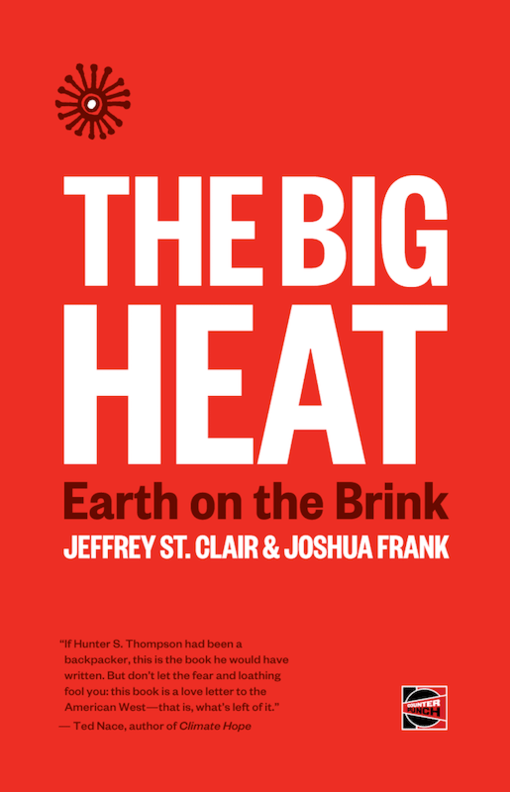 The Act’s creation is directly connected to the ongoing efforts of another corporate-funded group, the Heartland Institute – of “Heartland Institute Exposed” fame – a group well plugged into the climate change denial machine. ALEC’s Natural Resources Task Force, now known as its Energy, Environment and Agriculture Task Force, adopted this model at a time when the Task Force was headed by Sandy Liddy Bourne. Bourne, who served in this capacity from 1999-2004, would eventually ascend to the role of Director of Legislation and Policy for ALEC in 2004. Upon leaving ALEC in 2006, Bourne become Heartland’s Vice President for Policy Strategy. Today she serves as Exectutive Director of the American Energy Freedom Center, an outfit she co-heads with Arthur G. Randol. Randol is a longtime lobbyist and PR flack for ExxonMobil, a corporation which endowed the climate change denial machine for years. Importantly, Heartland is still a member of ALEC’s Energy, Environment and Agriculture Task Force that originally passed the Environmental Literacy Improvement Act. If this sounds similar to ALEC’s model bill, it should, given the fact that the two outfits share funding from the same honey pot. In fact, Heartland actively promotes the ALEC model on its website. Oklahoma and Colorado came first and within just over a week, Arizona followed suit in proposing the ALEC climate science “mis-education” bill. HB 1674 calls for the teaching of “scientific strengths and scientific weaknesses of existing scientific theories,” including of global warming, saying it’s a theory steeped in “controversy” – not that the actual scientific record thinks so. The ALEC model similarly calls for the teaching of “critical thinking so that students will be able to fairly and objectively evaluate scientific…controversies.” The model also mandates creation of “an atmosphere of respect for different opinions and open-mindedness to new ideas” in the scientific sphere. The OK bill is sponsored by Rep. Gus Blackwell (R-61), unsurprisngly a dues-paying member of ALEC. According to a Dec. 2012 report published by the Center for Media and Democracy (CMD) titled, “Buying Influence,” Blackwell has paid for his attendance at least one ALEC meeting with taxpayer money. National Institute on Money in State Politics‘ data demonstrates that Blackwell’s largest pool of campaign funding for his 2012 electoral victory came from the oil and gas industry, which gave him $28,800. This includes taking $7,500 from shale gas industry giant Chesapeake Energy, $2,350 from ConocoPhillips, and $1,000 each from Koch Industries and coal industry giant Duke Energy, among others. All of these corporations also fund ALEC. One sure sign of a coordinated, ALEC-lead effort is the fact that Colorado’s state legislature introduced the ALEC model on the same day as did Oklahoma’s. The two states, it’s worth noting, share a border on Oklahoma’s panhandle. One of the senators co-sponsoring the bill, Rep. Scott Renfroe (R-13) is an ALEC dues-paying member. He’s also attended at least one ALEC meeting paid for by Colorado taxpayers, according to the CMD’s “Buying Influence” report. Of the $91,000 dollars he raised for the 2012 election, over $5,000 of it came from the oil, gas and electric utilities industry, according to the National Institute on Money in State Politics. This includes taking money from Chesapeake Energy, Anadarko Petroleum, Williams Companies, and the Colorado Oil and Gas Association. Eight days later, ALEC’s model bill made its way to Arizona, a state sharing a “corner border” with Colorado. Arizona’s SB 1213 was introduced on Jan. 26, 2013 by six senators that, as it turns out, are all dues-paying ALEC members. Five of the six have attended conferences totally on the taxpayer dime, according to CMD’s report. SB 1213 incorporates the “critical thinking skills” operative language, the “scientific controversies” operative language and the “teaching…global warming” can “cause controversy” operative language. In short, SB 1213 is the same exact copycat ALEC model bill that’s been proposed in both Oklahoma and Colorado. Replace “guy” with “corporate lobbyist” and “legislators” with “rats” and that’s ALEC in a nutshell, serving as a mere microcosm of the current American political system at-large.